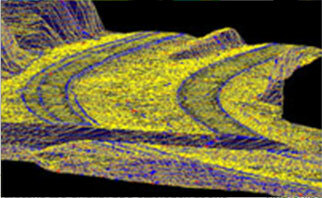 Comprehensive GIS Data Management Services from an Industry Leading Land Surveyor Company. Whether it is the collection of mapping data, the maintenance of a GIS system, GIS mapping or anything in between, we are here to help you with your project. Comprehensive Geometric Services For Your Industry. At Bearing Tree Land Surveying, we are central to the provision of quality geomatics and topographical survey services to the civil engineering; land development, utility and geo-environmental sectors. Discover an exceptional land surveying company through a selection of past projects. We’re proud to have been part of many challenging and exciting aerial map, GIS mapping and land surveyor geomatics projects. 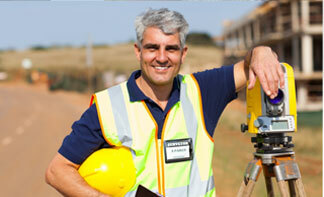 Bearing Tree provides exceptional quality land surveying services for contracting and construction management. To learn more about our expert engineering surveyor services and topographical survey methods, please contact us today. The scope of work may vary from simply marking proposed pile locations to assisting with the installation of a complex structure such as a bridge or part of an offshore facility. Modern building survey instrumentation may assist greatly in the surveying by providing rapid, accurate GIS data – however, there remains a great responsibility on the surveyor to ensure absolute best practice through all stages of an engineering survey or setting-out project. Bearing Tree Land Surveying will assign only the most senior and experienced personnel to deliver surveying services and setting-out works. Our survey equipment pool and our GIS data management systems have been designed to ensure that all software is fully conversant with the field instrumentation. 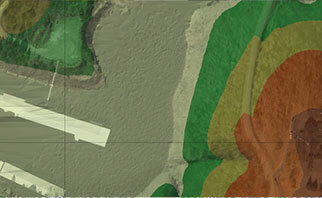 As a result, plans, coordinate listings and layouts can be digitally uploaded and downloaded to and from the field respectively. This saves time and, more importantly, avoids expensive ‘keying in’ errors and increases the ability to field check more rigorously.